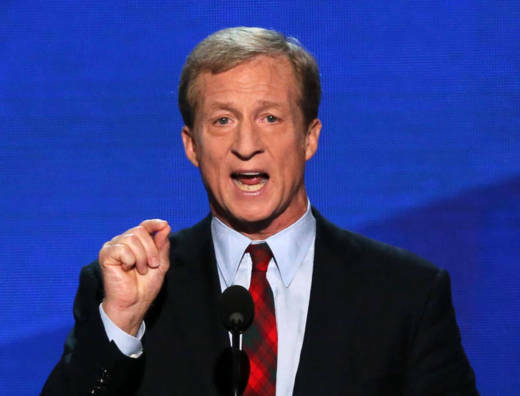 While he had never formally announced a run for governor of California, environmental activist Tom Steyer was widely expected to seek the office in 2018. The billionaire investor had spent millions of dollars on California ballot measures, including propositions against the death penalty and for a tobacco tax. The election of Donald Trump as the next U.S. president has greatly influenced Steyer’s political calculus. He's considering focusing on his activism to combat Trump rather than engaging in a long political campaign. Steyer sids Trump displays “fascist tendencies” and that Californians have to fight against that. Other candidates are announcing their intention to enter the gubernatorial race: The Los Angeles Times reported early Thursday that former L.A. Mayor Antonio Villaraigosa will run. Listen to The California Report interview with Steyer on Friday at 6:50 a.m.